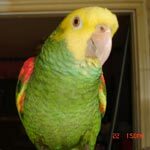 Parrot Forum • View topic - Fine for clipping wings?! Re: Fine for clipping wings?! WOW. That is wonderful. I think Sweden is the other country with critter laws. Yes, Sweden has wonderful bird laws! You cannot have a single bird but a pair and they even have minimum cage sizes!